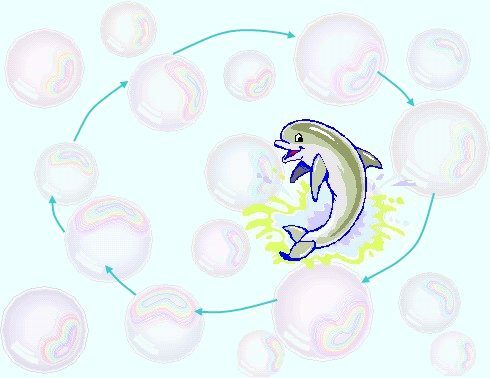 How to bring dolphin's simple joy into your work life? How to stay healthy and inspired in your job & career? Inspirational advice, original lyrics of songs, and free tips are here to help. There is alot of career advice around, but career advice is rapidly changing. This site covers the basic skills and tools needed to move forward with ease. Then, you will have to act. How to make my work a friendly place? How to evolve my career in a world where the nature of work constantly changes? Where to find inspiration and strength? How to get paid for my professional knowledge and get extra income? How to become an independant consultant? How to create my own sustainable, meaningful work in the digital age? And finally, how to become a full-time me? How to be free? In a hitech world, it's possible and essential to regain joy and happiness. A consultant? A student? A teacher? A programmer? A manager? A hardware engineer? A software engineer? A systems analyst? A DBA? A marketing manager? The list of positions is endless. Today's Jobs become more and more specialized and new specialized jobs are created each year. Common wisdom tells us the hitech world is wide like the ocean. "There is so much to learn". But simple principles exist beneath it all. On the foundation level, all is one, all is our choice. Beneath the water, beyond the surface, there are essential commons. Hitech dolphin's inspirational career advice helps you learn the things you need to know, encourages you to practice the skills you need to master, and guides you to create your own happy solutions. Hitech dolphin is focused on practical career advice, tools and strategies essential for keeping your frequency of joy in a hitech-world. Some of us need career advice on how to create their own business. Yet other dream about being a consultant. Yet other have already realized how focused you have to be in order to succeed. Hitech dolphins view the journey holisticly, as a continuous process of discovery. Hitech dolphins swim & dive, play & enjoy, ponder around & succeed. They know life are meant to be easy. They make their own meaningful success happen step by step, and they love to give us career advice on the way. Together we review the trails, the meeting points, the necessary tools and the gentle smiles needed in order to succeed. Many great technologies are available today. More and more are developed each day. The challenges we face grow rapidly as well. We need to face those challenges. And we don't have time. Usually we are to busy with our career, our business, our life, and we can't invest the time needed to make our world a better place. Technologies may be used with love, to create human solutions. To make people closer to each other, not farther away. To make people collaborate. To make people work together. For an example of using a technology to create a human solution, take a look at how I have created this site. I thank god for the web marketing technology which makes this site a reality and helps you to find the human solutions contained within. To move our world forward, we must integrate thought with action, technology with ecology, spirituality with practicality, wisdom of the mind with work of the heart, planning with spontaneity. We must use every skill we have, every technology we have, and use it together. How can you make it real in your own life? Would you like to share your knowledge about dolphin? Contribute to www.hitech-dolphin.com! Practice the tips in your daily life. Join to the ' Waves of Joy' newsletter to get updates.